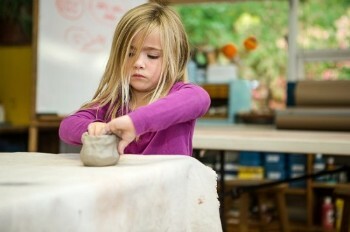 Creative work is woven into all aspects of classroom life. The emphasis is not on "self-expression" but on "self-realization". We enrich the environments with fine painting, good music, visiting artists and special programs. Students undertake a formalized study and engage in larger projects in the area of the Fine Arts, which includes working with our Art Specialist, exposure to art history and a variety of media (paint, clay, paper, textiles and color). The goal of the music and drama programs at The Montessori School is to give children an awareness of and an opportunity to participate in the joy, poignancy, depth of expression and the community experience these arts can provide. The basic tools of music and drama, including technical skills and cultural and historical references, are part of all levels of our program. 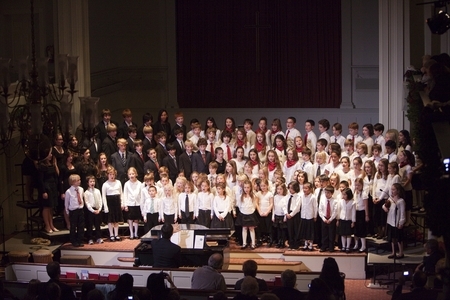 Elementary students are part of our Montessori Chorus which performs at several points during the year. Music chosen reflects the classical periods, spirituals, jazz and Broadway selections, as well as music from around the world. Two, three and four part harmony is performed, depending on the age group. 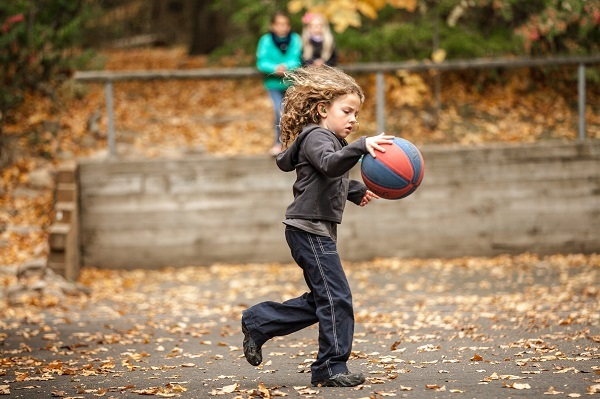 Our Athletics program reflects Montessori’s understanding of movement as the basis of learning. Self-respect, respect for competitors and good sportsmanship are goals within every aspect of the program as is the development of a well-rounded and ethical athlete. Students work together to be the best they can be as they refine skills and build strength, endurance, ability, speed and flexibility. Language is a central and rich part of each classroom life. With an array of languages spoken by families in our school, children “absorb” foreign language as part of their environment. 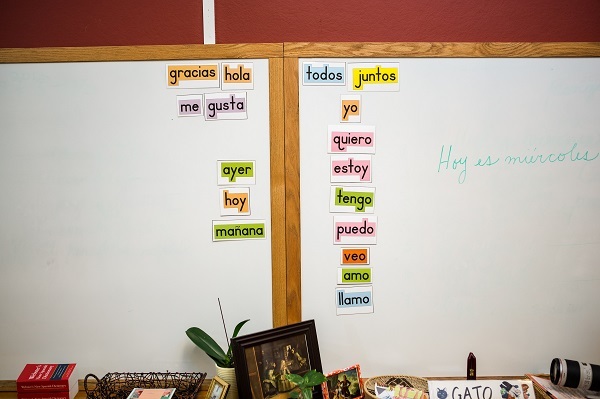 Elementary students participate in more formalized study of French or Spanish. The emphasis begins with listening and speaking and progresses to reading and grammar study in later years. Poems, short stories, songs and cultural study is woven throughout the program. The Montessori School holds the students’ relationship to the outdoors as an intrinsic part of our educational approach. 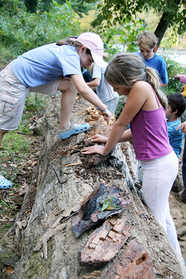 Outdoor work is based on Dr. Montessori’s vision for the extended classroom and the respect and responsibility inherent in meaningful encounters with the land and sea. Gardening, composting and other elements of care of the outdoors are introduced at the earliest stages of our nature-based learning program. At the Elementary levels, the children’s experience with the outdoors grows through the added dimension of outdoor expeditions, camping trips, rites of passage and farther-afield adventures.